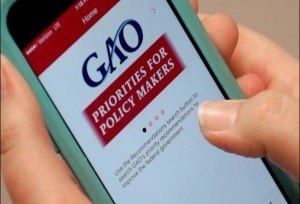 The Government Accountability Office (GAO) launched Priorities for Policy Makers, a mobile app that allows people to monitor the presidential and congressional transitions. According to Gene Dodaro, Comptroller General of the United States and head of the GAO, the app provides users with a list of the agency’s recommendations for Federal government operations. Through the app, users can navigate to GAO reports to find details on all recommendations. The app, which is available for free in the App Store or Google Play, links users with GAO’s new presidential and congressional transition Web pages. The Web pages include a management agenda, which enumerates critical management challenges and how to address them, as well as a high-risk list, which names programs susceptible to fraud, waste, abuse, and mismanagement. GAO will issue a new high-risk list in February.